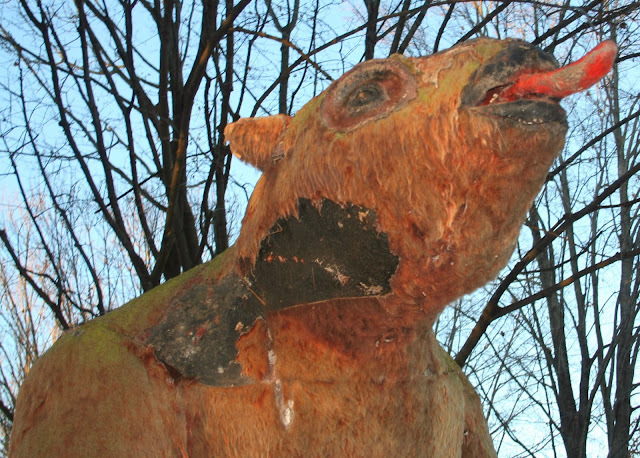 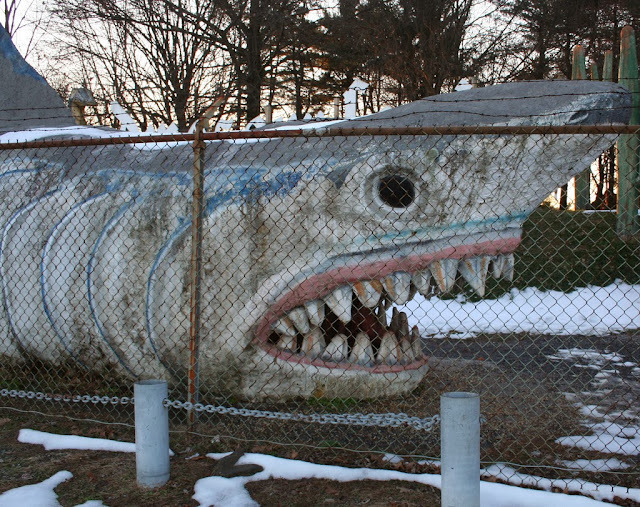 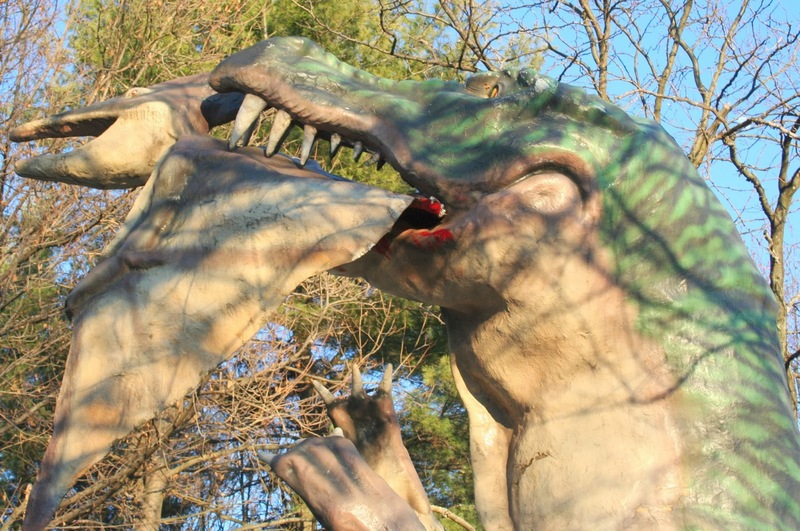 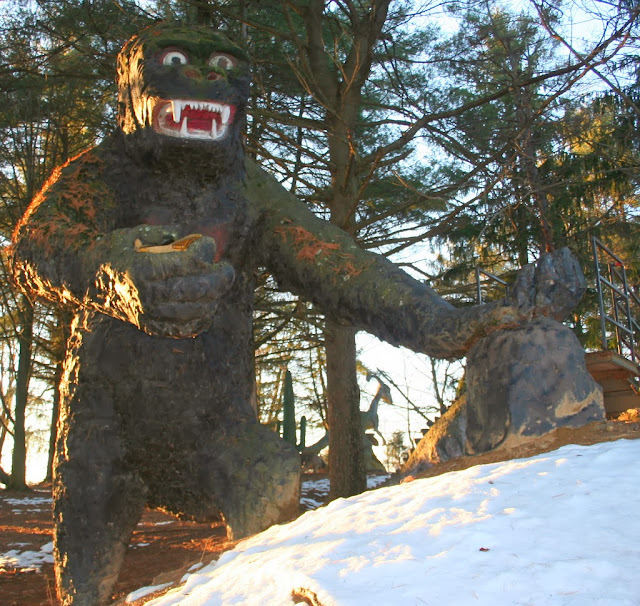 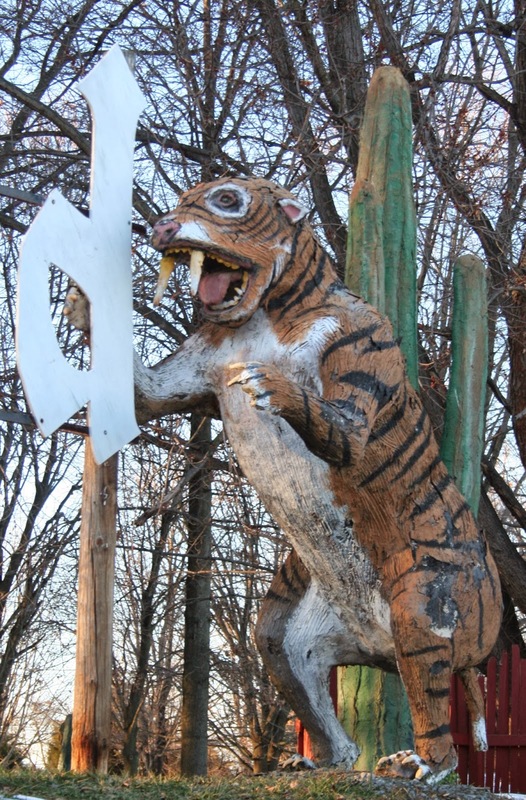 Recently I talked about the King of Roadside Fiberglass Mark Cline and his remarkable Dinosaur attraction. While his exhibit is my personal favorite it is by no means the only place to see Fiberglass Dinosaurs on the Southern Roadside. 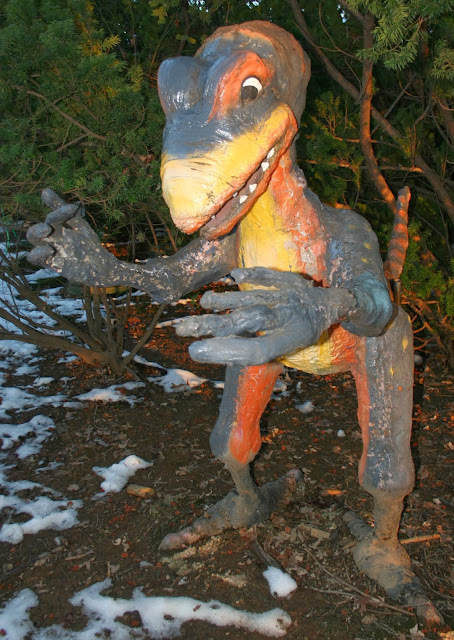 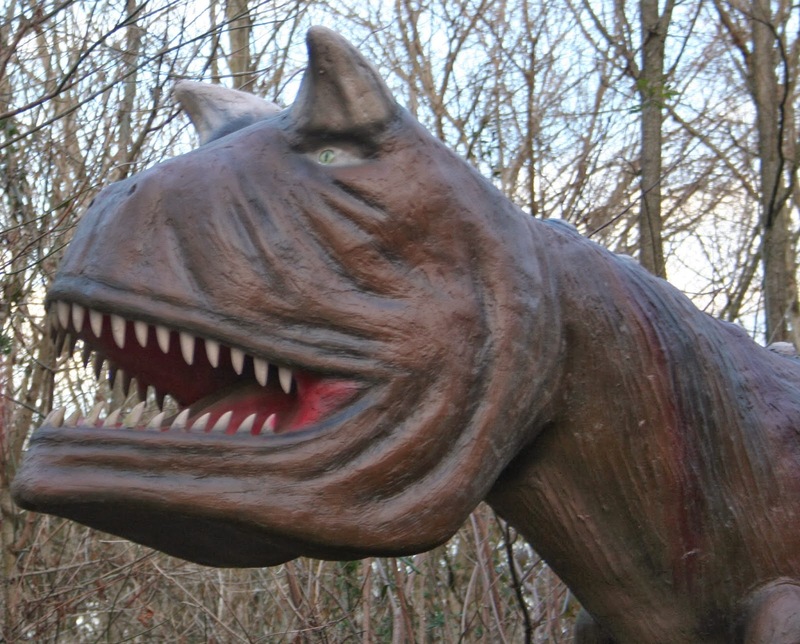 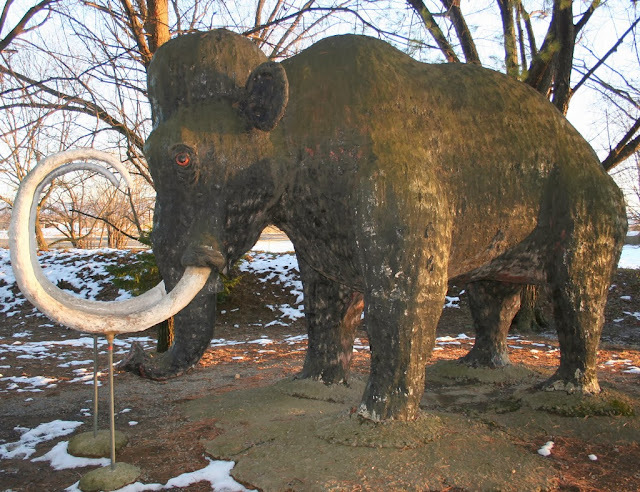 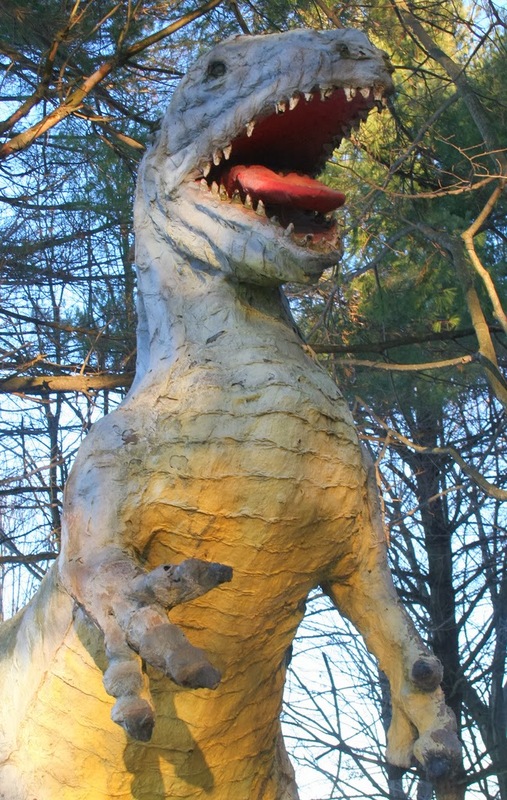 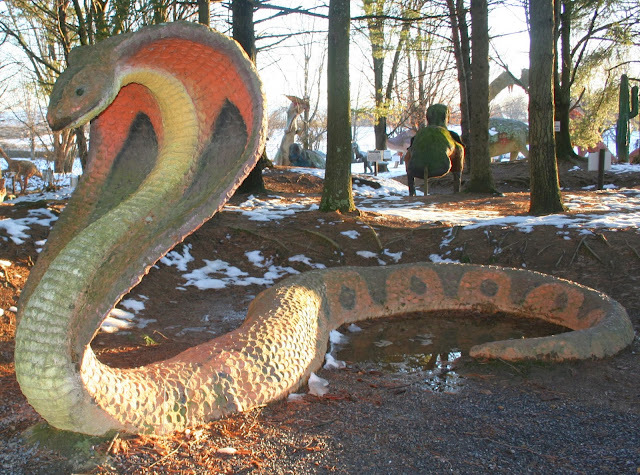 There are plenty of other roadside destinations to get your dinosaur fill. 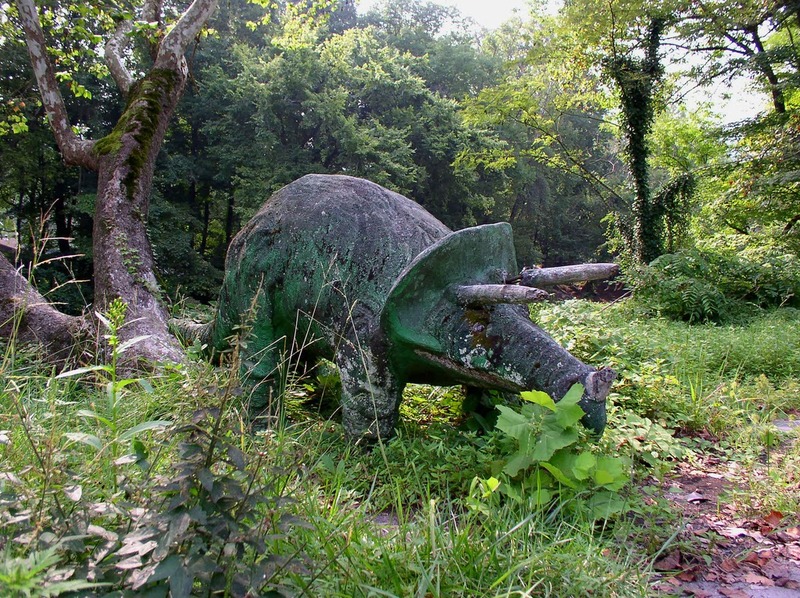 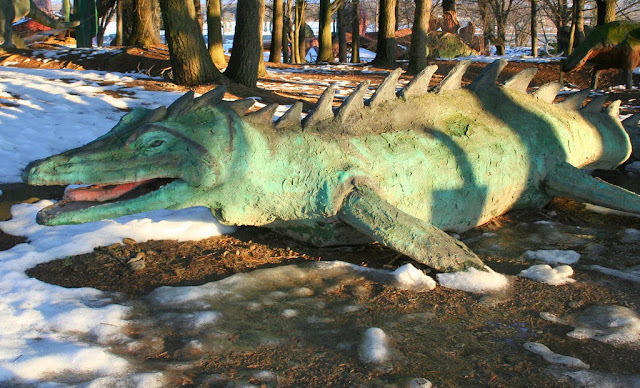 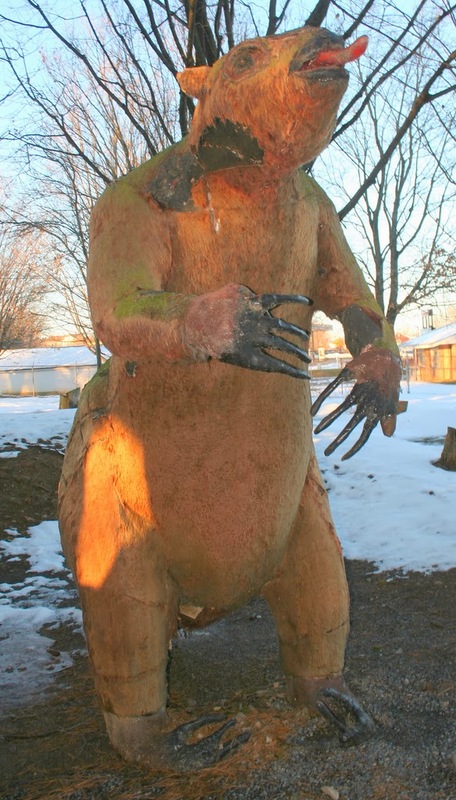 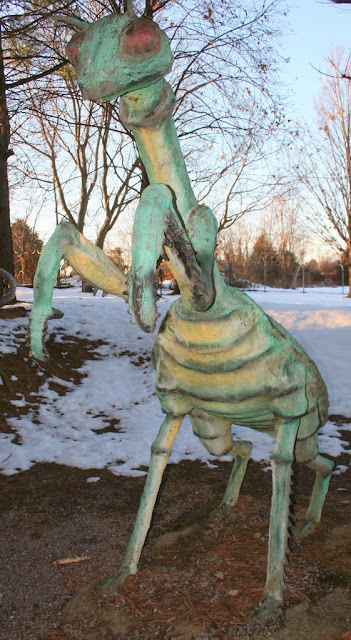 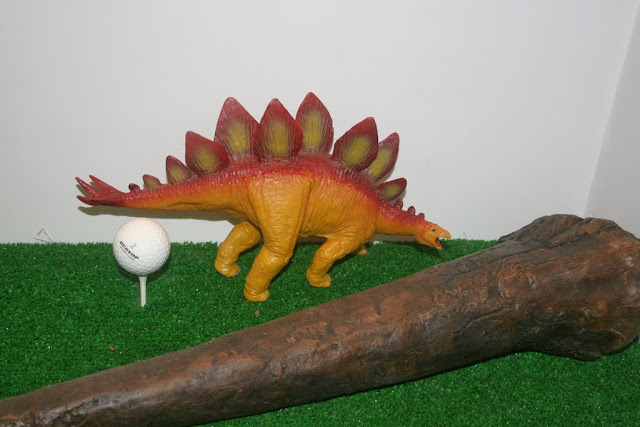 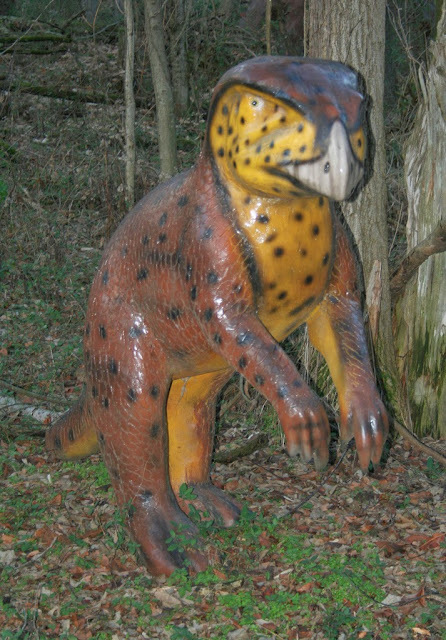 While, it is somewhat rare, it is possible to find a stray Fiberglass Dino like this lone Triceratops in Cherokee, NC. If want to really scratch your fiberglass dinosaur itch you are going to have to go to on the tourist traps that they inhabit, such as Dinosaur World in Cave City, KY. 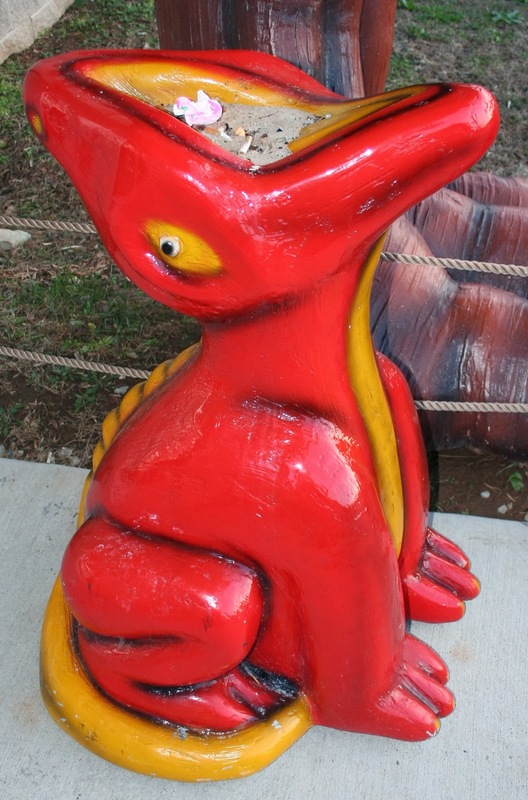 There is a mirror attraction in Plant City, FL. 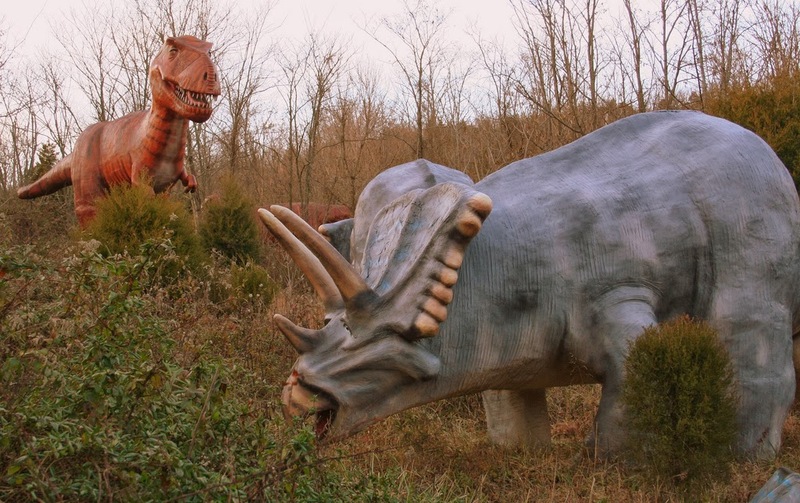 When I was passing through Cave City, KY I stopped at Dinosaur World, the woman at the front said they were closing down, but agreed to sell me a ticket if I ran through really quick. 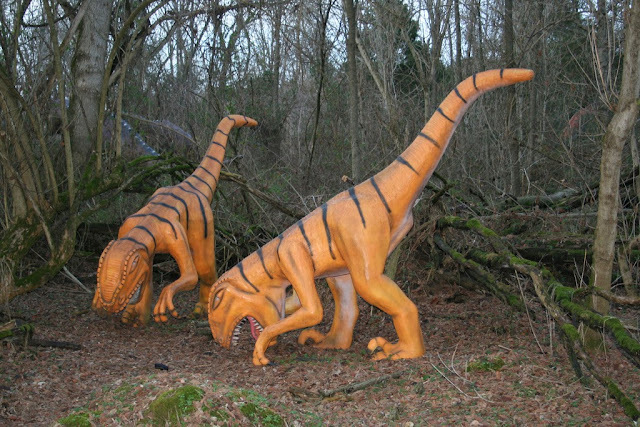 So me and my daughter went on a mad sprint through a forest full of Fiberglass monsters. 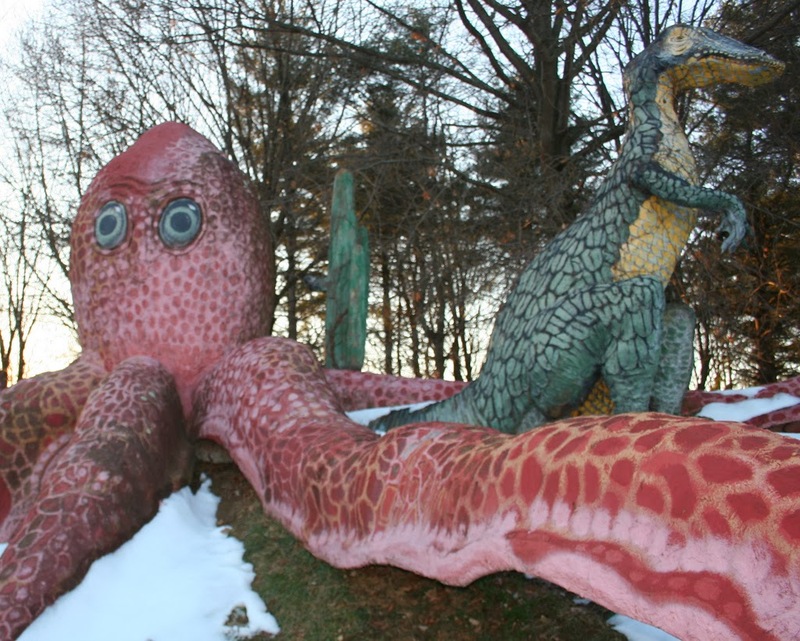 Now Dinosaur World is a newer attraction in the World of Roadside attractions. The Fiberglass is more shiny and slick then the older attractions. 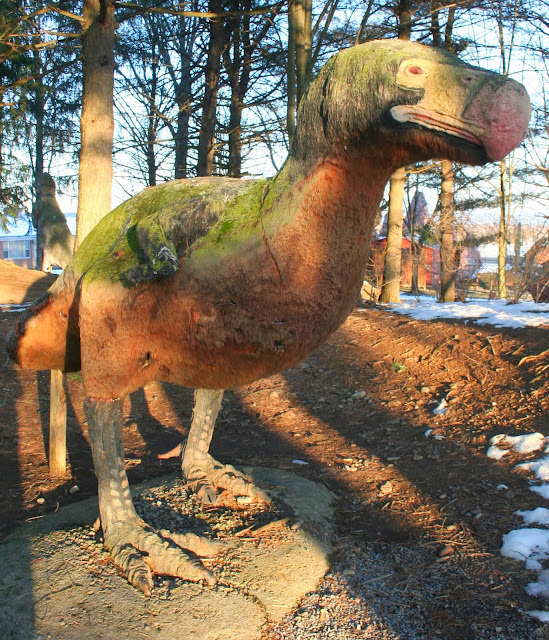 Despite this, some of their Dinosaurs are really strange looking. 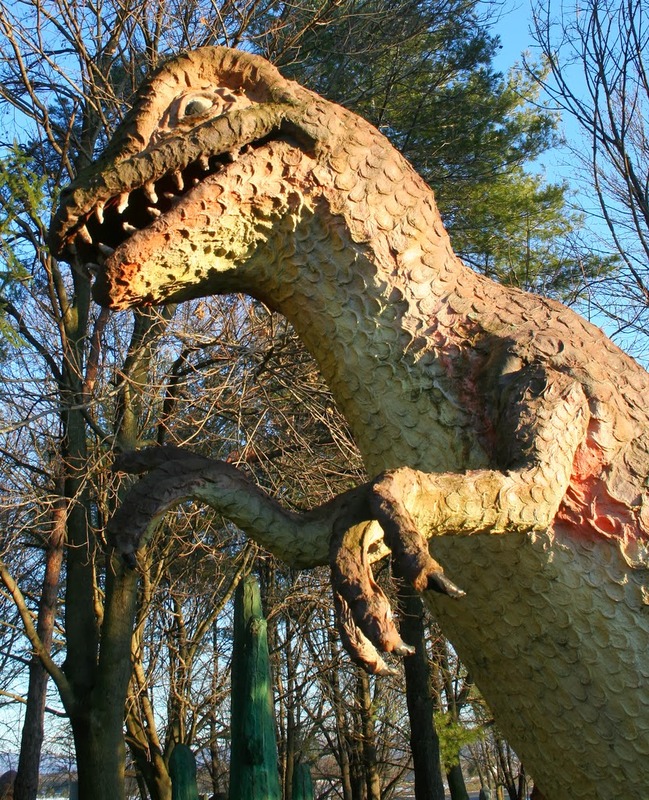 I did not have a chance to get any of their names, remember: I was running. 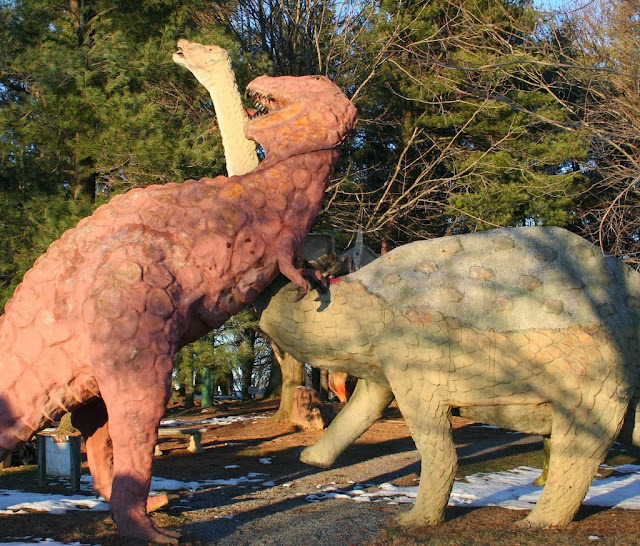 Things are capped off by possibly the lamest Dinosaur Museum on the planet. For a more authentic experience I recommend a visit to Dinosaurland in White Post, VA. 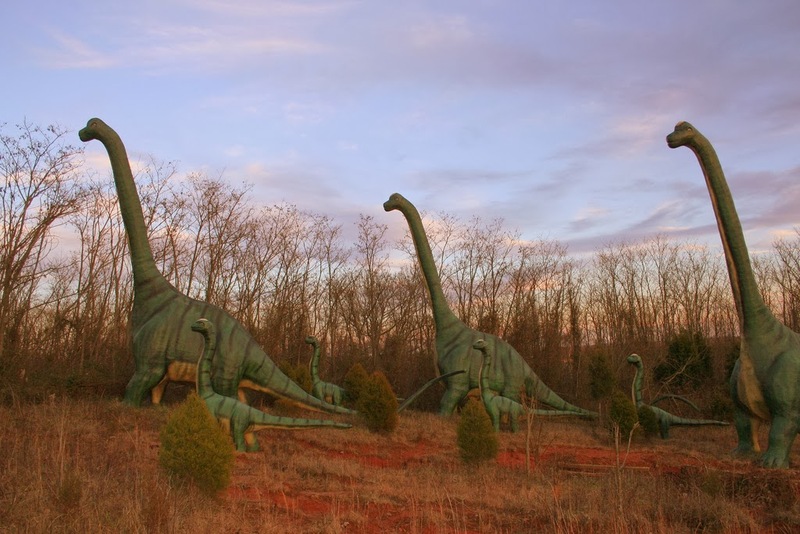 Opened in 1969 Dinosaurland gives you that true old timey family roadtrip feel. Now, much like my trip to Dinosaur World, I apparently arrived at a time they were not expecting visitors. It was cold and muddy and there some ice and snow. They did let me visit the park, but they actually made me sign a waiver before I entered. 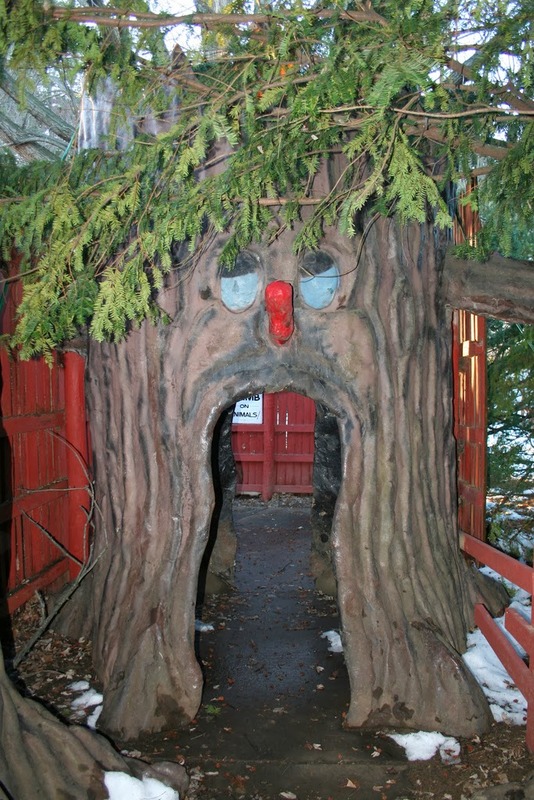 Of course, when I had to enter the attraction through a magic tree mouth, I knew I was in for a treat. 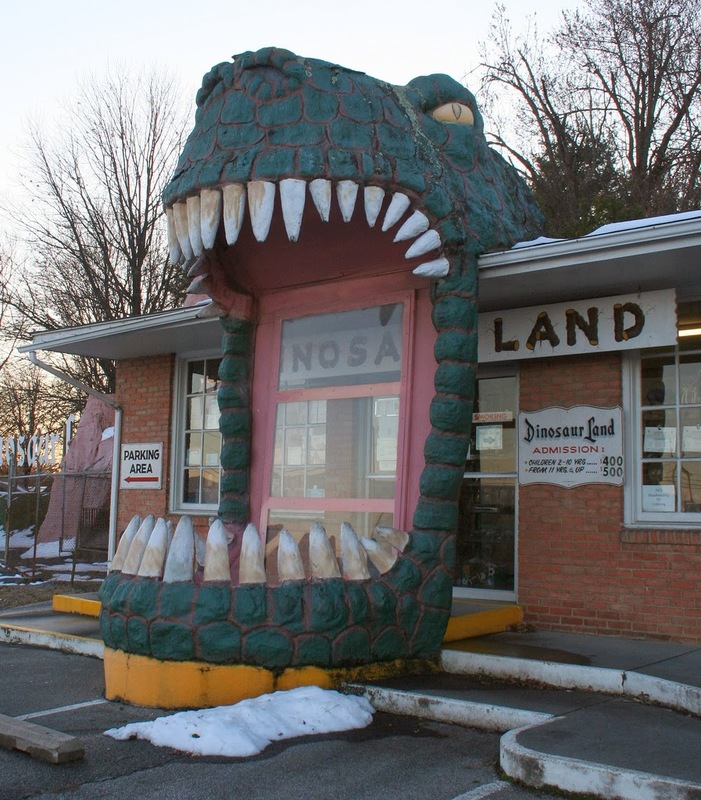 Dinosaurland has an amazing sign that is clearly inspired by Dinseyland. 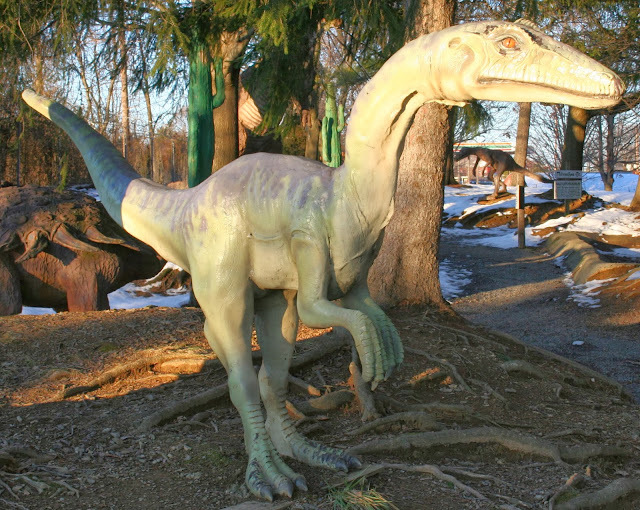 This attraction actually played a large part in inspiring Mark Cline's Dinosaur Kingdom. 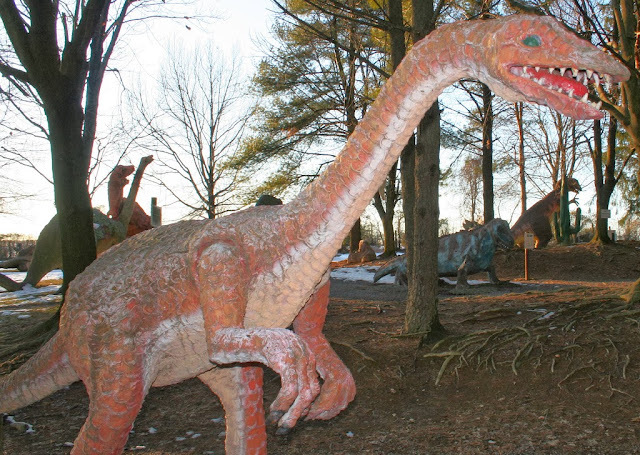 This attraction has actually hired Mark Cline to repair some of their old damaged Dinosaurs. 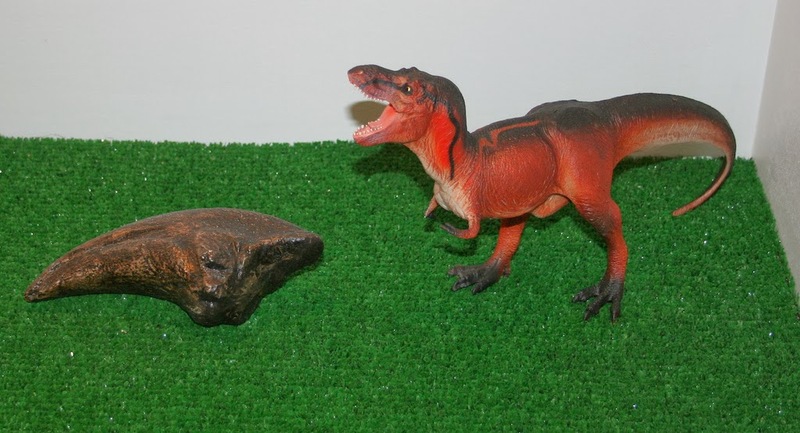 You can pick out some of the newer dinosaurs that were clearly created by Cline. What I really love about this place is that they don't just stop at Dinosaurs. 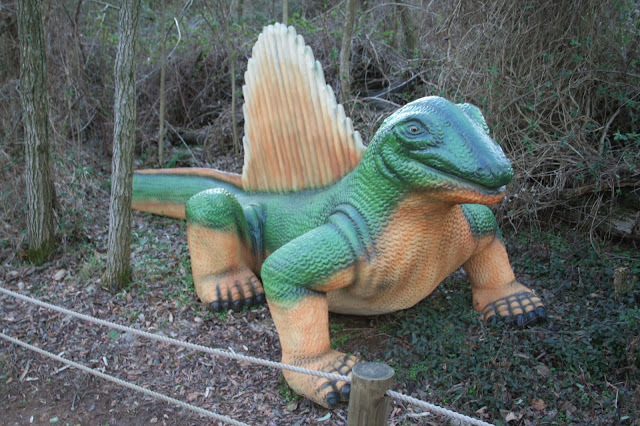 They are some off the wall additions to the park as well. 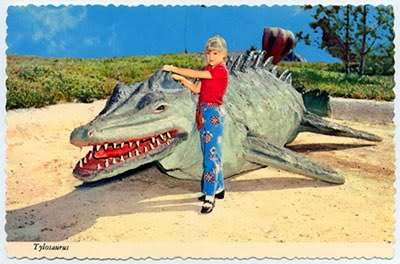 The lady that sold them to me actually pointed out to me that it was her posing with a dinosaur when she was a child. 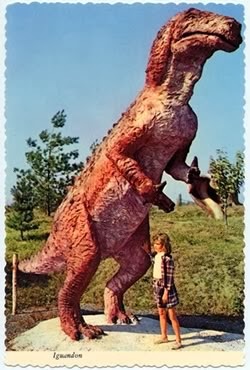 Long family roadtrips and fiberglass dinosaurs.....Is there anything closer to the true American Dream?